Ultimate Kungfu Street is a new Android-only game that is developed by a company called “Mp3 Player Best for Android.” If you’re an old-time gamer, you’ll probably recognize that this game is essentially a mobile port of The King of Fighters ’96, though the developer doesn’t make it seem that way in the description. 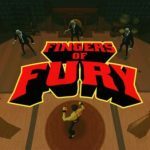 It’s described as a “really classic but addictive” kung fu fighting game that has 50 levels and 12 fighting skills, with more to follow in succeeding updates. If you played any game in the King of Fighters series, you’ll probably find the mechanics to be familiar, though there are some tricky elements in this mobile version, such as the controls, that could be quite challenging to overcome. 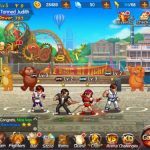 But regardless whether you’re new to the series or someone who had played the old King of Fighters games, we recommend that you check our Ultimate Kungfu Street strategy guide. These tips should come in handy if you’re looking to win more fights and do the right things when in battle. If you’re new to the game, the power meter will be one of the first things you have to look at and understand. This meter, once filled up will allow you to use special moves and rushes, and you can fill up the meter by making successful attacks and blocks. As such, you shouldn’t be solely focusing on offense here; defense is just as, if not more important than offense in more ways than one. It’s also possible to charge the meter by simultaneously holding the A, B, and X buttons on your screen. 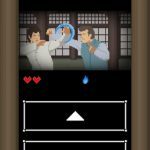 As it could be a bit difficult to do this latter move with the current user experience of Ultimate Kungfu Street, you can try using your right thumb to hold the B and X buttons, and use your right index finger to hold down on the A button. Your fighters’ standard moves can serve the well in the game, but you really would want to learn how to do some combos. One of the easiest combo moves would involve moving the movement stick down, then toward your opponent’s direction and hitting an attack button. Hitting two buttons at the same time, e.g. B+X, A+X, A+Y, will allow you to grab your opponent or launch a charged attack. Grabbing your opponent is a counter move against your opponent’s blocks; they skip the block and allow you to do some damage in the process. They say the best offense is a good defense, and we’d like to go by that adage in Ultimate Kungfu Street. You can perform a block by holding the movement stick toward the direction you’re facing; press the movement stick downwards and toward your opposite direction to block a low attack. You also should learn how to time your blocks properly, but it will also help if you know how to do evasive maneuvers, such as rolls, to avoid damage from your opponent. Press the movement stick twice, moving it opposite the direction you’re facing to do a backward roll. Doing the opposite, or moving the stick twice toward your opponent, will allow you to do a forward roll. Defense, combos, and special moves, not necessarily in that order, will give you an edge over your opponent. But you can also gain more of an advantage, or bail yourself out of a tight situation, by simultaneously hitting the A, B, X, and Y buttons. This will activate a team assistance move, where your teammates will emerge from the background and do a special move at the same time, performing the move with you and dealing out a lot of damage against your opponent. If your opponent’s health bar is half-full, you can empty it out, and as mentioned, you can save yourself if you’ve painted yourself into a corner and things are not in your favor. We’re referring to AI opponents here, so pay attention if you’re having a lot of difficulty with some of the harder-to-beat enemies in this game. Turn your back on your opponent, be ready to block at any time, and roll back or jump in the air if your opponent is trying to hit you with a charged move or grab you. Once their attack misses, they’re vulnerable at that point, so launch a jump attack, may it be a punch or kick, and make sure it’s a hard one. That can give you a good early advantage over your opponent. Use this strategy against characters such as Goenitz, particularly when that final boss is all by himself. Another mechanic to remember here is that your character’s health will regenerate by a decent amount if you defeat one opponent. That will allow you to last longer with that same character once you’re facing a new opponent with full health. 6. Should You Bother With Taunting Your Opponent? Taunts are performed by hitting the X and Y buttons at the same time, but as we’ve seen in other fighting games, they really don’t do much except make your character look cocky and arrogant. But in this game, they could convince a defensive-minded opponent to attack, which would then allow you to catch them when they’re vulnerable, or when they’re charging toward your direction. That’s when you can launch into a combo or a powerful counter, as you take out a good chunk out of their health. Wondering how you can unlock mid-level boss Kagura and final boss Goenitz and make them playable? You can do this by performing the same old cheat code available on the original King of Fighters ‘96. While you’re on the character select screen, hold down on the Start button, hold the movement stick upward, and hit the X button. After that, hold the movement stick right, and press Y, hold the movement stick left, press B, and hold the movement stick down, and press A. That will reset the character select screen and make both bosses available as playable characters.